The first time I started looking into how the music business works, I got pretty overwhelmed. I was under the impression that the music industry and related copyright rules, licensing, and royalty types were so complex that it would take me a lifetime to understand. 1. It's not that complex. While there are many global variations, overlaps, and exceptions to rules, overall the concepts are not difficult to grasp. 2. The legal and regulatory sides can feel stuck in the past, but the industry is modernizing. Many established companies have an interest in keeping some traditional systems alive as they benefit from them, but there are changes and progress happening to adapt to the digital landscape of today. When a musician creates a song, that creator has a right to exploit the ownership on that content. We call this creation intellectual property and the legal protection for music creators over their creations' copyright. To put it concisely, copyright is the right to copy your creation. In general, copyrights are split in two different categories: composition and recording.Think about it. What is a piece of music? On one side we have the original song consisting of the composition and/or the lyrics (the work). At the other side we have the sound recording of that composition, known as the master. Pretty simple, right? One composition can have multiple recordings. Many songs are used in different ways. Think of sampling, remixing, and cover songs. The same source (composition) is in multiple forms (master recordings). Labels and artists usually control the recording rights (or master rights), while publishers and songwriters control the how the song's composition is used (publishing rights). OK, so far so good? Now let's go to the next level. We want to make money with music. We may have different reasons as to why, but to start, we need revenue to continue making music! Payments that go to artists when their work is used are called royalties. First you write a song, then you record a song (and of course, some of us record while composing). The recording is the performance of the song as recorded or created in the studio, whatever that studio may be to you. In most cases in which an artist is signed to a record label, the label owns the recording. A publisher or publishing company's role is to act as the spokesperson and administrator for the songwriter and to generate revenue from the composition. 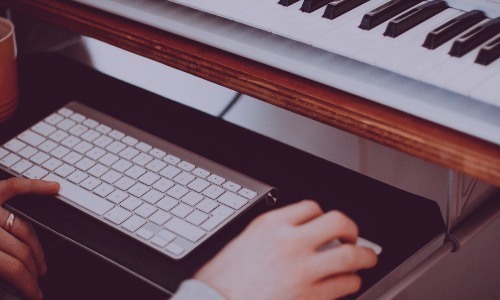 The songwriter can still keep ownership of the actual copyrights, although in many cases, publishers will want to control some rights of this original song as they pursue business opportunities for it. So what kind of opportunities are we talking about? Generally speaking, we differentiate three ways to exploit music. In many cases, both composition and recording copyrights may apply . You can license others to exploit your copyrights and both benefit. It's quite easy—you grant others permission to use your creations and recordings for various reasons, and in return, you get paid. From this point of view, royalties can be shared profit. The royalty system is based on many old-fashioned definitions. Therefore, the wording can be kind of confusing. In general, we define four types of licenses and connected royalties. Again, sometimes more than one license or royalty will apply to a single usage. 1. Recording License/Royalty: This is simply the right to use a recording. It is also named master license or master recording license. The master recording license permits the use of an already recorded song. This relates to sampling, for example. 2. Mechanical License/Royalty: This type of license is paid every time a copy of a song is made, for example when pressing vinyl records, producing CDs, ringtones, etc. While "mechanical" may be a confusing term, it is just the approach of machines pressing a copy (its origins are in the old days of "piano rolls".) Streams also earn mechanical royalties. 3. Performance License/Royalty: A performance license gives permission to play your music towards the public. While "performance" may be a confusing term as well, it generally applies to any broadcast of a work. This can be in many forms such as live concerts, radio, TV, sporting events, shopping malls, etc. 4. Synchronization License/Royalty: A sync or synch license is increasingly used in today’s music landscape. Synchronizations apply when music is combined—or sync'd—with other media, like use in film, TV, movies, commercials, games, etc. So in summary, a song consists out of its composition and lyrics. This is the essential part of publishing rights. This song can be recorded and that specific recording is protected by recording (or master) rights. When monetizing your music, there are four general ways. You can copy and distribute with a mechanical license. You can sell the specific recording for compilations or for use in sampling with a recording license. Any form of public performance of your work falls under a performance license. And last but not least, you can connect your music to any other form of audiovisual media with a sync license. A royalty is a payments that you as the music rights holder receive from your copyrights and licenses. A license means you grant permission to a third party to use your original work or recording and/or collect royalties on your behalf. Get it? Got it? Good. Now get on with the creating and earning!